When I was little I was a pain when it came to eating. I wouldn't try anything! I grew up, traveled away, met new people, & started trying stuff. How lucky am I that I started finding out about all of these amazing flavors and cultures through food? I pretty much eat anything nowadays, with some exceptions. All that to say that today at work I tried chicken and waffles! I was so excited to try it, well, to be honest the first time I ever heard of it, I was not impressed. I couldn't picture this combination, and had no interest. But, why not? The more I heard about it, the more curious I got and today FINALLY I got to try it. Final verdict? I liked it! In a weird way, I liked it. Fried chicken and syrup go well together... yam! Martin Luther King asked that question. "What are you doing to help others?" I believe that when a community starts helping each other, this community prospers. I wasn't brought up in a country where people are looking out for each other, it's quite the opposite, but I am proud to have been naturalized in another country where this is big. The sense of helping out your next door neighbor, feeding the homeless, or cleaning up the streets around your kids' school is everywhere and it's really satisfying. Since I've lived in the US, I've helped in soup kitchens, I've done clean up efforts, I've painted schools, I've donated money and time to help. Am I the greatest person ever born by doing this? NO, but I enjoy it and I believe each person can do something to make the world (your neighborhood, your city, your country, your school) a better place. Dr. King dreamed of a world where we would look past skin color, sexual gender (or orientation), religion, nationalities. Today I thought about it, I was in a gas station and in front of me there was a gentleman wearing a kippah (Jewish head covering), to my right and left there were some Asian people, a little further down there was a blond woman and everyone was minding their own business, as it should be. Are we living in a perfect world? Recent events proves that obviously not. Will we ever be? As long as we want to prove ourselves better than the other, obviously not. But little by little, day by day, we can do better, we can always do better. Yesterday I was reading a blog where the author, who moves around due to her husband's job, wrote that every time that she moves to a new country she doesn't make any effort to meet new people, try new food or find out about that country's culture. She goes on to say that she was invited to dinner at some local's house. She didn't want to go, but did, in the end she said it was amazing and besides not speaking much of the language, she really enjoying her time and making friends. My point is, you have the opportunity, you are living (or visiting) in a beautiful foreign country, why not try and make local friends? You might be surprised and enjoy yourself! Christmas has come and gone... oh noooo! I do have to say, it gets better with kids around. I've always been a New Years kindda girl. Celebrating hard to bring in the new year, but after having my daughter (after she'd grown a bit) it just got really great to see the sparkle in her eyes when she sees the Christmas tree. 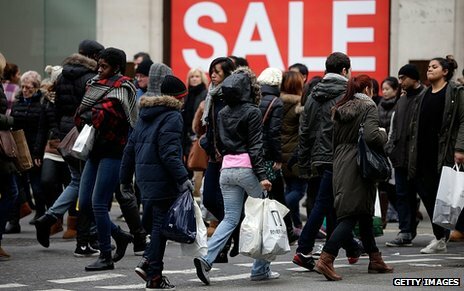 If you live in England you have something to look forward to after Christmas... the January Sales!!! Yes baby, amazing deals on all sorts of stuff, which also means crazy people all over the place, but hey, if you plan well you can get some good stuff. Ok, but this is NOT the reason for this post. I talked about Christmas in Brazil, in the USA, now I want to talk about Boxing Day (St. Stephen's Day) in England. One of the theories is that it all started centuries ago by farmers who would pack up all the left over food (or money/gifts) and give to their servants the day after Christmas. In the UK (and other countries of the Commonwealth) it's a public holiday, hurray! So, you can just relax or enjoy a day of craziness shopping. You get to eat Christmas leftovers and watch a football match from the Premier League. Put the olive oil in a pan and saute the onion and garlic. Once they are soft, add the turkey until it's a little fried. Next, add the veggies and after they are warm, add the mashed potatoes. The potatoes will make everything glue together. Serve once it's brown on both sides with the fried egg on the side and some HP brown sauce. Christmas Cookies - My host dad baked A LOT!!!! We don't have the tradition in Brazil of baking Christmas cookies. I remember on the build up to Christmas trays and trays of cookies being baked. We then took the cookies on our travels. Food!!! - Pumpkin pie, cranberry sauce, turkey, stuffing, vegetables, potatoes. All served as a late lunch. Family - Enjoying each other's companies through the winter holidays. Seeing families all over the place, that's what Christmas is all about isn't it? Presents - Of course there was that as well. On Christmas day, we all came down the stairs and opened presents. I like receiving, but most of all I like giving, just watching people's faces when they open their presents... it feels great!